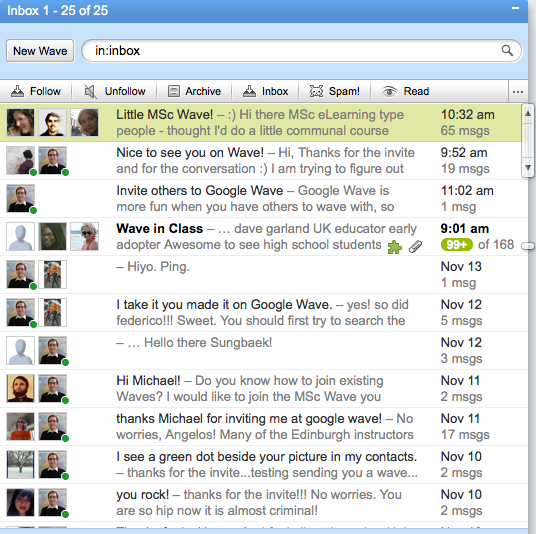 I am stating to see the utility in Google Wave, but that is not exactly groundbreaking news. I suppose the biggest thing so far that I can see is the playback feature, which allows you to play back a thread as it was created (to get a sense of the flow). 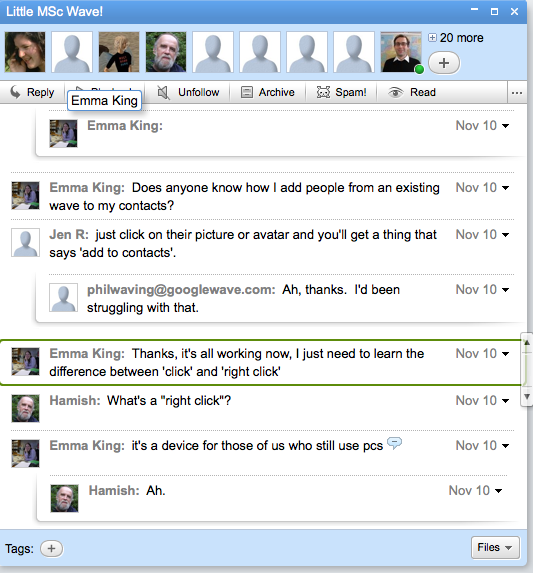 Also are the ability to thread conversations in midstream. I have provided a few screenshots below by way of example. If anyone finds their way on to Google Wave, look me up at my Google Wave address.